Chile’s first steps to juvenile justice reform began in 2004 with the passing of the National Policy for Citizen Security (NPCS), which had two stated principles aimed to prevent social crime: to strengthen and empower the capacity of the families to promote prosocial behavior and reduce violence, and to strengthen and empower the capacity of the schools to promote prosocial behavior and reduce violence. Both principles bring attention to the importance of family and school in a juvenile’s life to develop positive social relationships, as well as the importance of these positive relationships during a juvenile’s upbringing. After the NPCS’s implementation, research was conducted to compile information on specific life experiences shared between Chilean juvenile offenders. Across all studies, it was found that their juvenile offenders often had parents that were either absent or abused drugs or alcohol, were subjected to mental or physical abuse or neglect, and/or experienced financial instability. It was also found that these juveniles typically perceived school as a negative or unsupportive environment, and often no longer lived at home. In 2007, Chile passed the Juvenile Criminal Responsibility Act, which made significant changes to their approach to juvenile justice. The law established a variety of sentences for offenders beyond incarceration, and made previously inaccessible things—such as education, therapy, and a guarantee to the protection of their rights—accessible. Critics of the law asserted that it wasn’t doing enough to provide alternatives to imprisonment, and that there were not enough probation officers to properly uphold the new law for each juvenile case. Their concerns seemed validated when, three years after the law’s passage, a 2010 national survey revealed that of the 1,667 juvenile offenders polled, 39.4% had reoffended within one year, and 53.7% had reoffended within two years. These figures reignited interest within the Chilean Congress for the promotion of preventative programs for juveniles. How Did MST Come into the Picture? With the release of these startling recidivism rates, the public’s doubt of the effectiveness of correctional facilities increased. This, coupled with Chile’s lack of programs and services for juvenile offenders under age 14, led the government to seek solution proposals that met certain requirements regarding effectiveness, social and cultural appropriateness, timeframe for implementation, and budget. 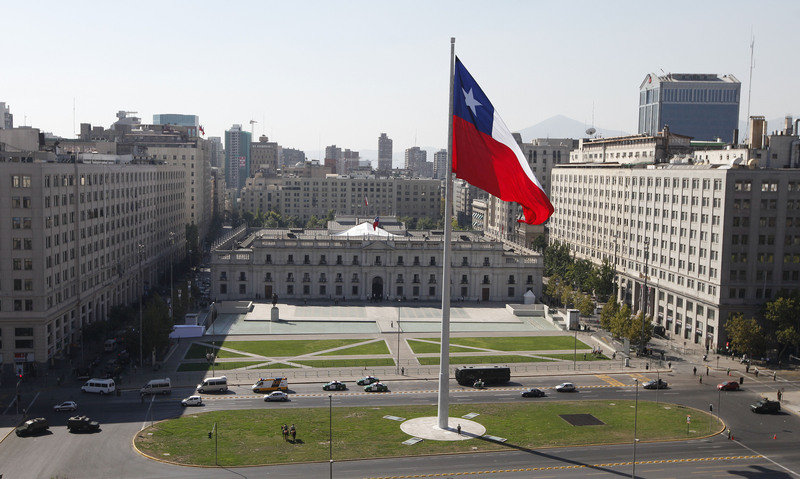 Three such proposals came forward; ultimately, Chile chose MST over the other two contenders, with the intention of offering it to high-risk juvenile offenders to reduce recidivism rates. MST was given three years (2012-2014) to complete a beginning introduction of their program. At the end of 2014, they had begun operation at 14 different sites, each of which had one full-time supervisor and four full-time therapists and were equipped to handle up to 840 cases every year. By the end of 2016, the number of sites had increased to 36. In 2010, 43,803 (8.4%) of all arrests within Chile were juveniles aged 17 years old or younger. 15,521 of those youth entered different programs at the special correctional system managed by the National Service for Child Protection that same year, and yet they were still experiencing a 39.4% one-year recidivism rate. By June of 2015, 2,574 high-risk youths had been treated at the MST sites. A one-year survey of these juveniles found that their recidivism rate was 30%--9.4% less than the national average from before MST’s implementation. By the end of 2017, this rate had dropped further to just 22.49%. It was also found that, after completion of MST, 95% of juveniles were living at home, and 82% were either enrolled in school or had a job. It was also calculated that the government saved an average of $11,000 per juvenile when they were enrolled in MST instead of being sent to a traditional detention center. With 36 different sites operating across Chile, MST’s influence has now expanded enormously within the country. Multisystemic Therapy is a proven intervention for at-risk youth and families across 15 states and 34 countries. For more information about MST's impact in Chile, read our new Chile Success Story Guide here.